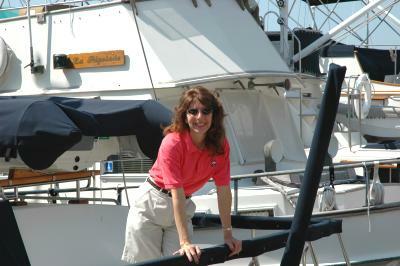 Florida Yacht Sales-Sailboats for sale-Power Boats For Sale-Yacht Brokerage SW Florida Yacht Sales. Vic and his staff specialize in finding trawlers, motor-yachts and sailing vessels 30 feet and over that are located in the U. S. The SFY professional sales team will work hard to find vessels that match up to the buyer’s plans and specifications. Our staff does much more that “list and sell boats.” Vic and his sales team consult with both buyers and sellers on such topics as vessel maintenance and repairs, the value of a marine survey, vessel Documentation and Registration, and marine financing. *SWFY is a member and abides by the code of ethics of the Yacht Brokers Association of America (YBAA) and the Florida Yacht Brokers Association (FYBA). The SWFY brokerage team is licensed by the state of Florida. original copyrighted graphic and textual material created and owned by Southwest Florida Yachts., Inc.
Reproduction and other use of this material without the express written consent of Southwest Florida Yachts, Inc. is prohibited.